Feed your brain || How to survive Exams | RAWR BOWS. Hello everybody! So, I am aware many of you have exams now and will have in the near future. First of all, let me tell you something: I feel you. I have exams in two weeks and I am freaking out. Whilst revising, it is very important to eat so that your brain doesn't run out of fuel and you can keep working and absorbing information. I am a big fan of snacking as I feel like it makes revision more bearable, here you have some of my favourite snacks: 1. Fruit. When the sun is out and it get a bit warmer, there is nothing better than snacking on some berries or frozen mango chunks. They are like 'healthy' sweets (not really but I think you know what I mean). I personally love blackberries, they are my favourite berries ever! 2. Chocolate. I love (and who doesn't?) eating some chocolate every now and then. If you have a Whole Foods where you live you have to try the Apple Crumble chocolate by Montezuma's, I swear it is probably the best chocolate I've ever tasted. 3. Nuts. Nuts like walnuts are good for your brain as it contains something that helps you remember stuff (very scientific, I know). Also, most nuts have a lot of protein and some have fibre which is always good for your body. However, don't be like me, and try not to eat the whole bag in on afternoon. 4. 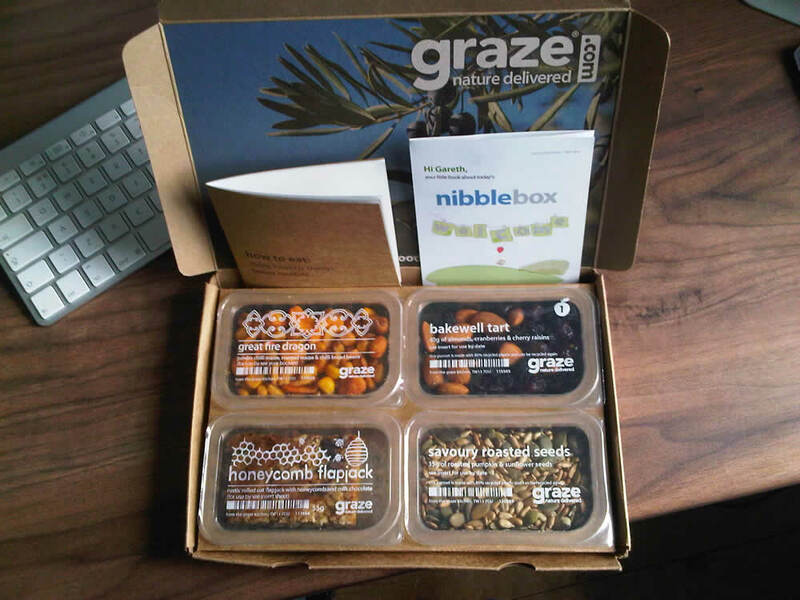 Graze Box. For those of you who like variety this is the perfect option. I've been getting a Graze Box (in case you don't know, Graze is a company that sends snacks to your house) once every week since March I believe and I love their snacks! they have a lot of options and you can either choose which ones to get or let them choose for you! A regular box is £3.99 however if you click the link below you will get it for free (only the first one) and if you don't like it then just unsubscribe, c'mmon, who can say no to free food? If you want your free box click here.